Enterprise-class Hosting and Managed Services for your IBM Power Systems running IBM-i (AS/400), AIX and Linux including Colocation, Private Cloud, Hybrid Cloud, Backup as a Service, Managed Backups, Managed Replication, Remote Systems Management and much more. Give us a call or drop us an email to find out more about Akzium's IBM Power hosting and managed services solutions. Cloud services include multi-tenant, private and hybrid cloud environments for production, disaster recovery and backup services. The AKZIUM cloud engineers and architects work closely with data center technical resources to craft economical, secure and scalable cloud, colocation and managed services solutions. Akzium is a Veeam Cloud Backup-as-a-Service provider. 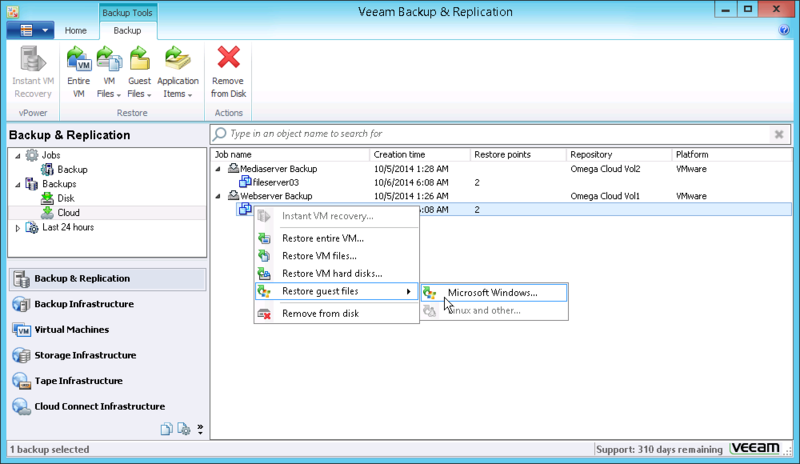 The Akzium Veeam BaaS stores your Veeam offsite backups on near-line archival storage. Should you have a disaster, simply open a ticket and we'll provision a Virtual Datacenter on our VMware vCloud infrastructure and begin restoring your Veeam backups of your virtual machines into your VDC. To get started, simply select the amount of storage in 500GB increments that you want for your Veeam Cloud Backup and we'll get it provisioned for you within 48 hours, along with an email giving you instructions. Have questions? Give us a call or drop us an email. ﻿﻿Akzium helps accelerate DR and create application high availability by bringing you Zerto Cloud Replication-as-a-Service. The Akzium Zerto Replication solution stores your Zerto offsite VM replicas on near-line archival, SAS or SSD storage depending on application needs. Should you have a disaster, simply open the Zerto VRA Console and migrate or fail over your replicated virtual machines and you're up and running in minutes. To get started, simply fill out the Zerto request form and one of our Zerto experts will contact you to begin the provisioning process. Have questions? Give us a call or drop us an email. Akzium offers comprehensive cloud migration services. Our cloud engineers can migrate your network, VPN, Firewall, servers, operating systems and applications to any of the most popular cloud hosting provider platforms with little or no down time for your applications or users. Whether your servers are physical or virtual, even if they're hosted elsewhere and you simply want to change hosting providers, we can minimize your migration headaches and get the job done quickly and professionally. Akzium has a deep history in the healthcare industry and working with EHR and related clinical and hospital information technology. One challenge in healthcare IT is how to efficiently back up and protect PACS Dicom image data. Akzium has several solutions that enable cost effective onsite and offsite backup and replication of the latest and even the most obscure and outdated legacy PACS systems, even those old XP-based image storage systems still hanging around with Optical jukeboxes attached. Contact an Akzium rep for more information on our proven solutions for protecting your current and legacy PACS data. ​CloudberryLab backup software is an incremental-forever backup solution that combines versioning and retention policies to enable long-term data backup and archival. Cloudberry Backup has built-in integration with all of the major cloud storage providers including AmazonAWS, Microsoft, Rackspace and Softlayer just to name a few. Cloudberry Backup has the ability to do local backups to a NAS, VTL, FTP or network share as well as backup to the cloud, and has agents to support MS-SQL, Oracle, Exchange, VMware and Hyper-V. There are backup versions for Windows, Linux and MacOS. Go to our CloudBerryLab Store page and buy your licenses. Securely access your enterprise data from anywhere using any mobile device - without a VPN. FileCloud offers multiple ways to access your organization's files securely: Web access, Desktop Sync, Virtual Drive, Mobile Apps and WebDAV. With the Secure File Sharing funtion you can create a public or fully private share folder, allowing for the secure exchange of files with clients, vendors and business partners. Powerful controls, full audit trails and integration with Active Directory and LDAP for seamless username and password synchronization across your network. Check out our complete lineup of Disaster Recovery solutions for Windows, Linux, AIX and AS/400 systems. Whether it is simply the ability to ensure that nightly backups are completed on time or the requirement of running a highly available data center that serves a global community of users, Akzium has the solutions to help make sure your data is both available and protected.